Dental implants are strong artificial roots that hold crowns or dentures in place. The implants are surgically inserted into your supporting bone structure. Over a period of time, bone tissues grow around the implant and form a strong bond with it to give the restoration higher strength. The success of dental implant restoration process depends on how healthy the supporting bone is. Bone grafting is recommended when our implant dentist in Cathedral City finds out that there is insufficient jawbone to hold a dental implant. Through bone augmentation process our dentist rebuilds the lost jawbone. The procedure creates a healthy foundation into which the restoration can be inserted. Why is bone grafting necessary? An implanted tooth withstands bite loads. The force of the bite is transferred to the artificial tooth roots. When the jawbone, where the implant is inserted, is not healthy, there are higher chances of failure of the restoration. Therefore bone grafting is recommended in some cases to make sure that implants last a lifetime. When a tooth is lost or extracted the jawbone underneath starts to shrink because of lack of stimulation which it normally received through tooth roots. This leads to loss of valuable bone tissues. The height and width of the bone may reduce. Periodontal disease is one of the major causes of tooth loss. When in the advanced state, periodontal disease can lead to loss of gum tissues and the supporting bone. Bone augmentation can help rebuild the lost bone tissues in such cases. Sinus lift or sinus graft is a popular procedure performed to build a better foundation for a dental implant which replaces a lost tooth in an area just below the maxillary sinus. In this case, an opening is made in a strategic location where the sinus membrane can be accessed. The membrane is lifted carefully and bone grafting material is filled in place. The opening is closed using another membrane and the site is left to heal. The bone may require few months to heal after the bone grafting process. During the follow-up visits, our team checks the status of the supporting bone to see if it is ready to take an implant. 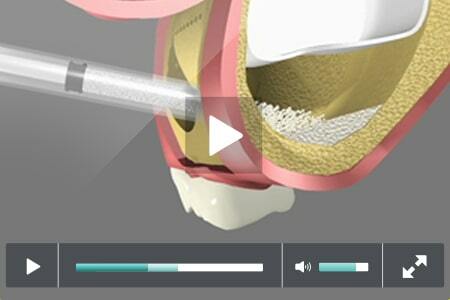 How is bone and Sinus grafting done? Oral examination and scans can help our dentist identify the amount of bone loss and set a treatment plan accordingly. Bone grafting is done with the help of local anesthesia. Our dentist explains the treatment plan to patients and schedules the treatment. Socket grafting: Socket grafting is a procedure where our dentist fills the socket of the bone immediately after extracting the tooth. This is done in order to maintain a healthy foundation for inserting the dental implant. 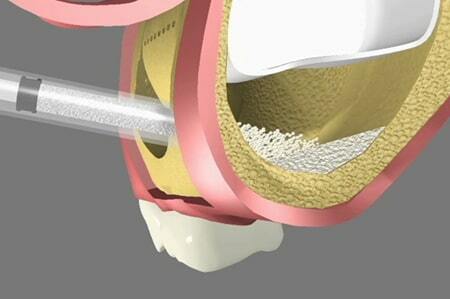 Bone grafting: Under bone grafting there are two kinds of procedures. One is where a block of bone is removed from another part of the body and inserted in the area where there is bone loss. The bone block is held in place using titanium screws which are removed once the bone heals. The second type of procedures is where powdered bone restoration material is filled in the area of bone loss and is covered using a membrane which becomes an integral part of the bone over time. Sinus Grafting: Sinus grafting is a procedure where our dentist creates a healthy bone structure for the implants around the sinus membrane. To do so, the sinus membrane is moved slightly and the area is filled using bone graft material. The material solidifies and becomes an integral part of the bone.